When it comes to installing a new wooden floor surface, whether it be real wood or laminate, the finishing touches are incredibly important. It is not enough to select an aesthetically impressive species of wood, which provides a beautiful colour, an intricate grain and elaborate makings, in order to be truly successful, other touches need to be added in order to create the desired effect. Skirting and moulding are excellent final touches to complement any wooden floor. Whilst these features are commonly overlooked, they are actually as important as the selection of the floor itself. 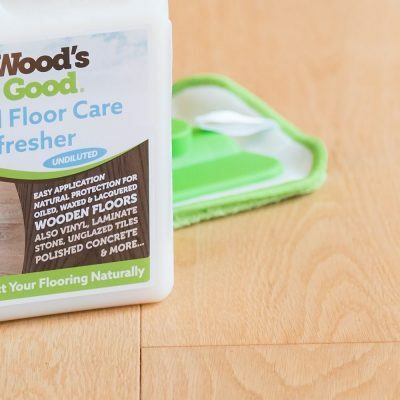 Without these final touches a new wooden floor, whether it be in a bedroom, living room or hallway, can look incomplete and tatty. Skirting, is specifically designed to cover the area between the flooring surface and the adjacent wall. Due to their wide usage, there are numerous styles of skirting available. These styles include solid, veneered and flexi-edged. When selecting a type of skirting, it is essential to ensure that the skirting matches the colour of the wooden flooring surface. Alternatively, skirting can be painted to match the existing aesthetics within the room. When painting skirting where the wooden floor has already been installed, it is important to take measures to protect the flooring surface from potential paint drips and stains. This can be done easily and effectively by laying down either cloths or a plastic surface. Whilst skirting performs a purely aesthetic role, moulding performs a much more practical function. Moulding serves to cover the gap between two separate floors, at the precise point where they meet, in order to create a seamless transition when occupants travel from one room to another. In addition to dramatically improving the aesthetic qualities within a property, the implementation of moulding prevents floors becoming a tripping hazard. This is because when moulding is utilised correctly it serves to cover any flooring edges and to create a level flooring surface. Like skirting, when selecting moulding it is important to select a wood which matches the colour of the flooring surface, in order to create a cohesive atmosphere within the room. As with skirting, moulding can be painted, in cases where the moulding is painted it is advisable to make use of the same colour which was used for the skirting. V4 Flooring specialise in the provision of high quality wooden flooring. Due to this position, we understand the aesthetic and practical intricacies of installing these surfaces. For further information regarding the selection or installation of moulding or skirting, or to enquire about wooden flooring solutions, a member of our expert customer service team can be contacted via email by clicking here.